Grapefruit and rosemary might sound like a strange combination, but we promise these beets will change your mind. Tangy, salty and subtly spiced, they're perfect atop a salad or all on their own. 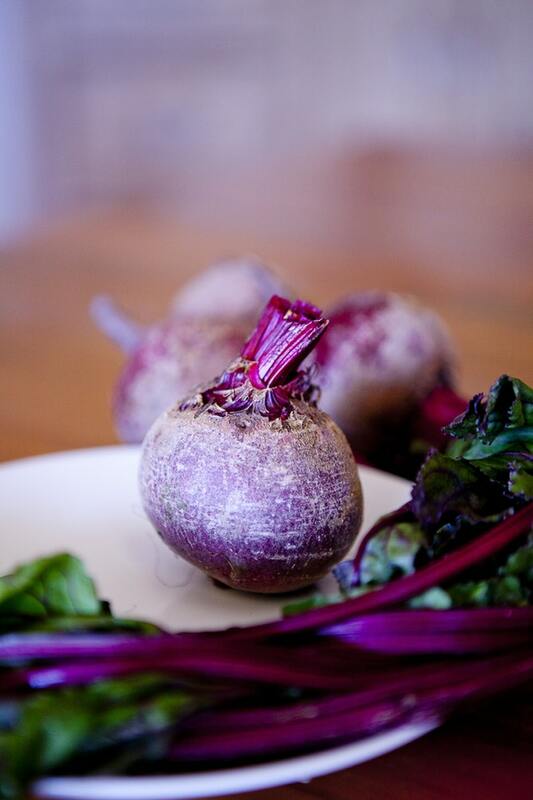 Toss beets with ¼ cup oil in a 13x9" baking dish and season with salt. Pour in water to barely cover bottom of pan. Cover tightly with foil (you want steam to build up in there). Roast beets until a paring knife slips easily through flesh, 60–75 minutes. Let beets cool, then rub off skins with paper towels. Cut beets into irregular pieces (about 2" thick) and transfer to a medium bowl. Using a vegetable peeler, remove two 2"-long strips of zest from grapefruit and thinly slice zest lengthwise into strips. Set aside for serving. Heat ¼ cup oil in a small skillet over medium. Add rosemary and cook, stirring often, until sizzling subsides, about 15 seconds. Transfer to paper towels and let drain and season with salt. Arrange beets on a platter. Drizzle with more oil and top with fried rosemary and reserved grapefruit zest.